Recognizing the important role of the youth in advocating for the rights of women and children, the Philippine Legislators’ Committee on Population and Development (PLCPD) conducted a series of issue orientations on child, early, and forced marriage catered to young people. The activities aimed to raise awareness on child, early and forced marriage (CEFM) and encourage the youth to engage in the advocacy. 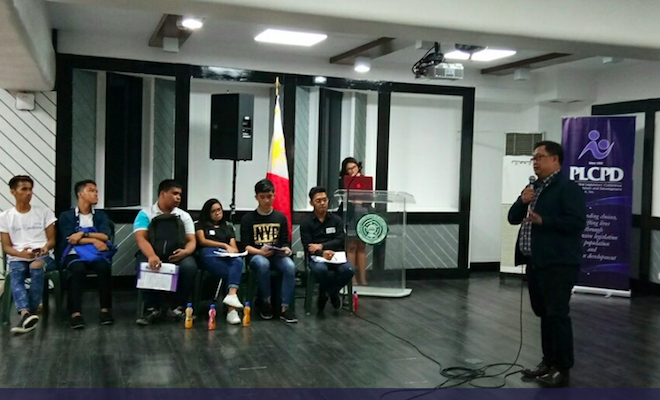 The issue orientations took place at De La Salle – College of Saint Benilde in partnership with Center for Social Action Benilde on June 5, and at the Sulo Riviera Hotel in Quezon City in cooperation with Pasay Sangguniang Kabataan Federation and Youth Development Council, Virlanie Foundation, ERDA Foundation, Y-PEER Pilipinas, and Barangay Culiat on June 7. During his opening remarks on June 5, Mr. Neil Pariñas, Vice President of La Sallian Mission for Student Leader, expressed his recognition of the importance of involving young people in discussions and advocacies for issues that affect them. “Young people can be leaders. As long as you can influence even just one person to change, then you are a leader, ” he declared. Professor Sorhaila Latip-Yusoph (Sor), a Maranao and professor in Mindanao State University shared with the participants her life story and reflections on her experiences. Professor Sor, a survivor of child marriage, was married at 16, had her first child at 17 and second child at 18, and asked for divorce at 19. She recounted the physical and emotional difficulties she experienced being married at an early age, including the sacrifice of giving up schooling when she had been an honor student and a leader in her campus. She mentioned that most young women who experience the same may not be able to speak and fight for themselves, which is why the advocacy is important. Recognizing that CEFM happens throughout the Philippines and and is not only practiced among Muslim communities, she urged the youth leaders who participated in the activities to be involved and take action, stand up for their rights, and reach out to their communities as well. Ms. Leah Barbia, Office in Charge of Gender Equality and Women’s Human Rights Center, Commission of Human Rights, talked about human rights and how the issue of child marriage should be addressed using the lens of human rights. In his closing remarks, Mr. Romeo Dongeto, executive director of PLCPD, shared with the participants how different sectors and organizations are working together to end child marriage, and how PLCPD, as an organization of lawmakers recognizes the role of reforms in institutions—including laws—in ending child marriage. “Reforms in policies may take a long time and demands the participation of as many stakeholders, as many voices, as possible. We are happy that with this activity, we are able to see young people committed to be involved. Let us all work together to save the lives and future of women and children,” he said. 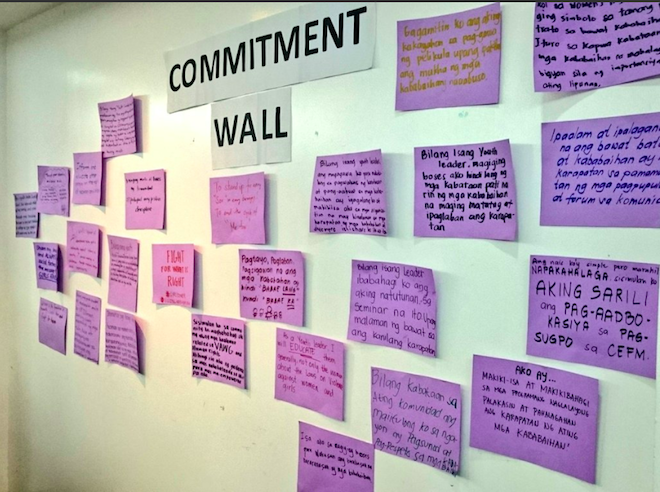 PLCPD is part of the Creating Spaces to Take Action on Violence against Women and Girls project, together with Oxfam, Al-Mujadilah Development Foundation, and United Youth of the Philippines– Women and with the support of Global Affairs Canada. A campaign across six countries in Asia, Creating Spaces aims to reduce violence against women and girls and reduce the prevalence of child, early and forced marriage.